Automatic reception, decryption, decompression, archiving, output and processing of EUMETCast, GEONETCast, HIMAWARI-Cast & CMA-Cast data. 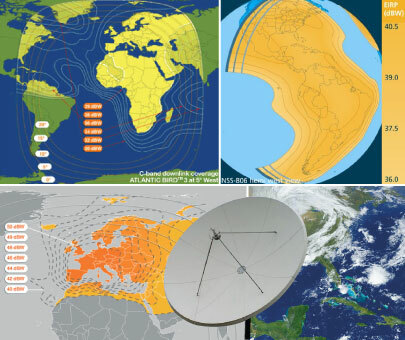 The eTelecast ground station receives pre-processed geostationary data from communications satellites, providing a solution where direct broadcast reception is either not possible or not needed. With its multiple antenna and receiver options, eTelecast is suited for different dissemination services, geographical locations and service requirements. Both Ku-Band and C-Band DVB and DVB-S2 transmissions are supported. The eTelecast ground station seamlessly integrates with our powerful Proteus visualization and analysis software. A wide variety of standard data interchange output formats are available, including GeoTIFF, JPEG, netCDF and HDF5. From manufacturing and engineering to final installation and training, the eTelecast ground station is a turn key system, providing all of the hardware and software required to collate and analyze re-broadcasted meteorological data. Global and regional marine meteorological and ocean surface products.